LAS VEGAS, July 11, 2018 /PRNewswire/ -- Thursday, July 5, Mariah Carey, the iconic chanteuse and best-selling female artist of all time with over 200 million records sold, launched her all-new Las Vegas headlining residency, "The Butterfly Returns" at The Colosseum at Caesars Palace. 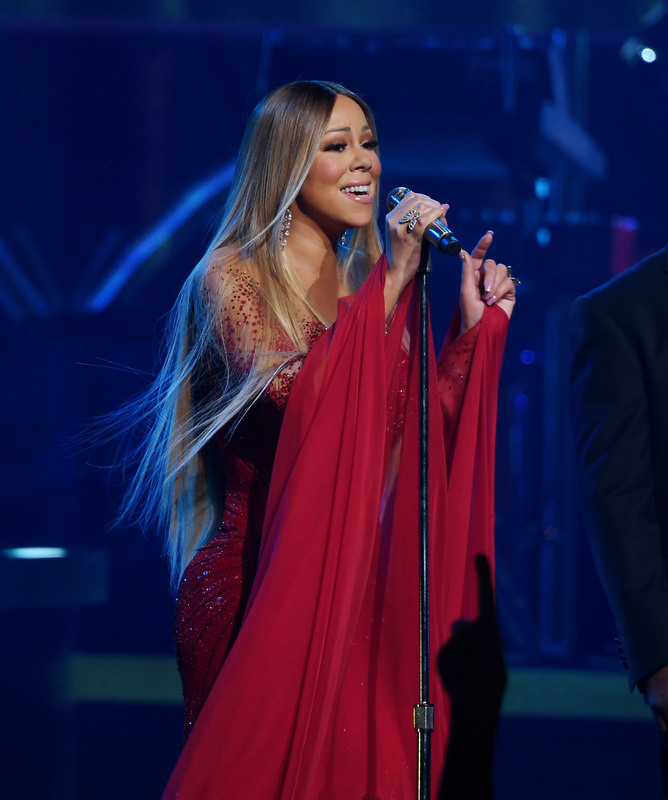 "The Butterfly Returns" spotlights a more intimate performance on The Colosseum's stage, showcasing Mariah Carey's world-famous vocals with an all-new show that highlights her extensive catalogue of music, including fan favorites such as "Honey," "Make It Happen," "Fantasy, "Vision of Love, "Emotions," "We Belong Together" and many more. The breathtaking production features a four-piece live band, three backup singers and seven incredible dancers. 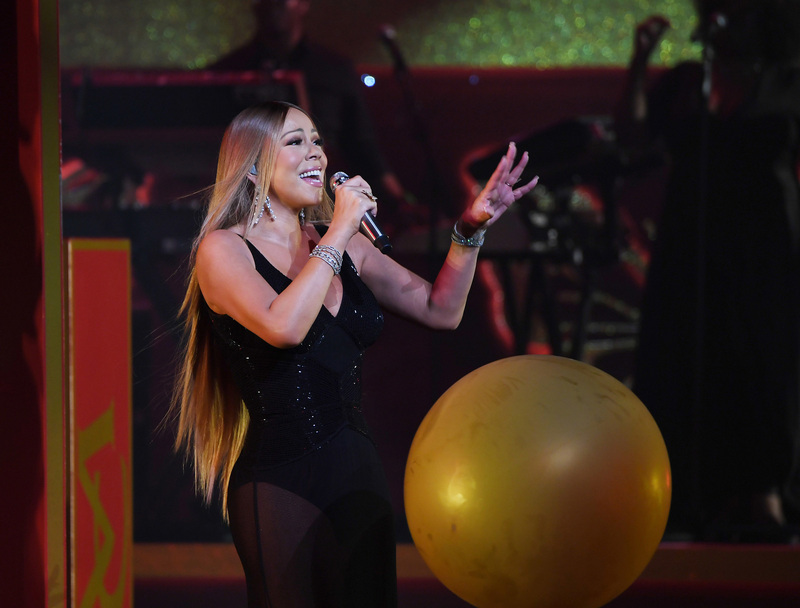 Fans are treated to a few surprises throughout the show, including Mariah's two children, Monroe and Moroccan, joining her on stage during "Always Be My Baby," as well as audience members being invited to sit with Mariah on stage while she performs "Touch My Body." General ticket prices begin at $55, plus applicable tax and fees, and Meet & Greets are also available. Tickets may be purchased online at ticketmaster.com/Mariah or in-person at The Colosseum box office. For groups of 10 or more call 866-574-3851 or email EntertainmentGroupSales@Caesars.com. All shows begin at 8 p.m. Fans can get more information at www.mariahcarey.com. Live Nation Entertainment (NYSE: LYV) is the world's leading live entertainment company comprised of global market leaders: Ticketmaster, Live Nation & House of Blues Concerts, LN Media and Artist Nation Management. Live Nation Las Vegas produces residency shows from Mariah Carey at The Colosseum at Caesars Palace; Gwen Stefani, Jennifer Lopez, Lionel Richie, Backstreet Boys and Florida Georgia Line at Zappos Theater at Planet Hollywood Resort & Casino; Lady Gaga, Bruno Mars, Stevie Wonder and Queen + Adam Lambert at Park Theater at Park MGM; Blink 182 at Pearl Concert Theater at the Palms; and Il Divo, Rascal Flatts, Styx & Don Felder, Chicago, ZZ TOP and Earth, Wind & Fire at The Venetian Las Vegas. Live Nation Las Vegas also brings other world-famous artists to many of the city's other premier concert venues including T-Mobile Arena, Mandalay Bay Events Center, MGM Grand Garden Arena, Las Vegas Village, House of Blues, Downtown Las Vegas Events Center, The Joint at Hard Rock Hotel & Casino Las Vegas, and more. For additional information, visit www.livenation.com. Find Live Nation Las Vegas on Facebook, Instagram and follow us on Twitter. World-renowned Las Vegas resort and a Top 10 "Best U.S. Casino" by USA TODAY 10BEST Readers' Choice, Caesars Palace features 3,980 hotel guest rooms and suites, including the all-new Palace Tower featuring 10 new luxury villas, the 182-room Nobu Hotel Caesars Palace and Forbes Star Award-winning The Laurel Collection by Caesars Palace. The 85-acre resort offers diverse dining options from the award-winning Bacchanal Buffet, to celebrity chef-branded restaurants, including the newest additions Gordon Ramsay HELL'S KITCHEN and from Giada De Laurentiis, Pronto by Giada, as well as Bobby Flay's Mesa Grill, one of Nobu Matsuhisa's largest Nobu Restaurant and Lounge, Restaurant Guy Savoy and MR CHOW. The resort also features nearly 130,000 square feet of casino space, including a recently renovated race and sports book boasting the largest screen on the Strip at 138 ft., a five-acre Garden of the Gods Pool Oasis, the luxurious Qua Baths & Spa, COLOR Salon by celebrity hairstylist Michael Boychuck, five wedding chapels and gardens, and the new 75,000-square-foot OMNIA Nightclub with the top DJs such as Calvin Harris, Kaskade and Zedd. The 4,300-seat Colosseum, Billboard Magazine's Venue of the Decade, spotlights world-class entertainers including Celine Dion, Rod Stewart, Reba, Brooks & Dunn, Jerry Seinfeld and Mariah Carey. The Forum Shops at Caesars Palace showcases more than 160 boutiques and restaurants. Caesars Palace is operated by Caesars Entertainment (NASDAQ: CZR). For more information, please visit caesarspalace.com or the Caesars Entertainment Las Vegas media room. Find Caesars Palace on Facebook and follow on Twitter and Instagram.